1. 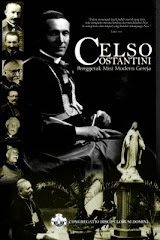 In reviewing attentively the history of the Church, one cannot fail to notice how, from the first ages of Christianity, the especial care and solicitude of the Roman Pontiffs have been directed to the end that they, undeterred by difficulties and obstacles, might spread the light of the Gospel and the benefits of Christian culture and civilization to the peoples who “sat in darkness and in the shadow of death.” The Church has no other reason for existence than, by developing the Kingdom of Christ on earth, to make mankind participate in the effects of His saving Redemption. Whoever, by Divine Commission, takes the place on earth of Jesus Christ, becomes thereby the Chief Shepherd who, far from being able to rest content with simply guiding and protecting the Lord's Flock which has beer; confided to him to rule, fails in his special duty and obligations if he does not strive by might and main to win over and to join to Christ all who are still without the Fold. 2. It is a well-known fact that Our Predecessors fulfilled at all times the Divine Commission wherewith they were charged of teaching and baptizing all nations, that the priests sent by them (many of whom the Church publicly venerates because of the holiness of their lives or because they so courageously suffered martyrdom) zealously strove with varying results to enlighten by the Faith first Europe, and, later on, even unknown lands, and this almost immediately after their discovery. We say “with varying results,” for it sometimes happened that the missionaries after laboring with little or no effect were either put to death or driven out of the country. As a result, the field which they had begun to cultivate, at times a mere wilderness but at other times already converted by them into a veritable garden of roses, when left to itself was once again overrun with thorns and briars. In spite of all this, it is a great consolation to see how in recent years the Congregations which are devoted to foreign missionary work have actually redoubled their labors and have gained such memorable fruits from their work, and how the faithful, on their part, have so generously responded to this increased missionary effort with a great increase in the amount of alms given for such holy purposes. There is no doubt that this renewed activity was greatly promoted by the Apostolic Letter of November 30, 1919, entitled, On the Propagation of the Catholic Faith Throughout the World, which Our Predecessor of happy memory directed to the episcopate of the whole world. In this letter, while the Pontiff on the one hand stimulated the diligence and zeal of all the bishops in the work of obtaining help for the missions, he did not fail to point out, and very wisely, to Apostolic Vicars and Prefects, the obstacles to be avoided and the methods to be followed by their clergy in order to render more fruitful the exercise of the sacred apostolate. 6. Since Jesus Christ has proclaimed that the special sign of discipleship with Him is that we “have love one for another” (John xiii, 35; xv, 12) can we give a mark of greater love for our neighbors than to assist them in putting behind themselves the darkness of error by instructing them in the true faith of Christ? As a matter of fact, this type of charity surpasses all other kinds of good works inspired by love just as the mind surpasses the body, heaven surpasses earth, eternity surpasses time. Every one that acts thus, inspired by love and according to the full measure of his ability, demonstrates that he esteems the gift of faith in the manner that one should esteem it. Moreover, he manifests his gratitude toward the goodness of God by thus sharing this same great gift, precious above every other gift, with the poor pagans. He also shares with them, at the same time, all the other graces which are intimately connected with the virtue of faith. If none of the faithful is exempt from the obligation of charity, can the clergy who, by their truly marvelous election and holy vocation, participate in the very priesthood and apostolate of Jesus Christ, claim such exemption? Or can you, Venerable Brothers, you who possess the plenitude of the priesthood and are, each in his own diocese, the divinely constituted pastors of the clergy and Christian people, claim to be exempt from the same law of love? We read that Christ commanded not only Peter, whose chair We occupy, but all the Apostles whose successors you are: “Go ye into the whole world, and preach the gospel to every creature.” (Mark xvi, 15) It evidently follows from this that the responsibility for spreading the faith falls upon Us, but on condition that you share with Us the burden and assist Us as much as your own pastoral duties permit. Therefore, Venerable Brothers, do not look upon compliance with this Our paternal exhortation, as an irksome duty, for you must know that God Himself shall one day ask of us a strict accounting of this tremendous obligation which He has laid upon Us. 7. In the first place, both in sermons and by your writings, strive to have introduced and gradually to extend the pious custom of praying “the Lord of the harvest, that he send forth laborers into his harvest” (Matt. ix, 38) and of asking for the heathen the light of the Holy Spirit and the grace of God. We say that these prayers should become habitual for it is evident that prayers said in this manner cannot but have more efficacy before the seat of Divine Mercy than prayers said but once or only occasionally. Even though the missionaries labor most zealously, though they work and toil and go so far as to lay down their very lives in order to bring to the pagans a knowledge of the Catholic religion, though they employ every means known to human ingenuity and spare themselves in nothing, all this will avail them nothing, all their efforts will go for naught, if God by His grace does not touch the hearts of the heathen in order to soften and attract them to Himself. 8. Everyone can pray, of this fact there can be no question. Everyone, therefore, has at hand and can make use of this all-important help, this daily nourishment of the missions. For these reasons you will act according to Our desires and will also do something in keeping with the religious spirit and feelings of the faithful, if you order that special prayers for the missions and for the conversion of the heathen to the true Faith be added, for example, to the Rosary of the Blessed Virgin or to the other prayers which are customarily recited both in the parish and other churches. It would be well, Venerable Brothers, to make a special point of inviting and encouraging children and the religious orders of women to take up this holy practice. We are particularly desirous that in all institutions, orphan asylums, parochial schools, colleges, and convents of Sisters there should daily arise to heaven the prayer that the Divine Mercy may descend upon so many unhappy beings, inhabitants of the densely populated pagan countries. Can the Heavenly Father refuse anything to the innocent and chaste who ask it of Him? On the other hand, such a pious practice leads to the hope that these children, who have been trained to pray for the conversion of the heathen from the first moment when the flower of charity begins to bud in their young and tender hearts, may, with the help of God, themselves receive a vocation for the apostolate, a vocation which if it is nurtured with care may perhaps in time supply capable workers for the mission field. 9. At this point, Venerable Brothers, We wish to touch upon in passing a matter which is worthy of your most serious thought. All are acquainted, no doubt, with the grave damage which was done to the propagation of the faith as a result of the late War. Missionaries recalled to their own countries fell in the terrible conflict. Other missionaries were compelled to leave the field of their activities with the result that missionary work suffered greatly thereby. These damages and losses to the missions have to be made good if we hope to bring them back to the state in which they were before the War and to insure their further progress. 10. Moreover, when we stop to consider the vast territory which remains as yet unopened to the blessings of Christian culture, the immense number of those who are still deprived of the fruits of the Redemption, or the obstacles and difficulties which beset and impede the best efforts of the missionary, it is absolutely necessary that the bishops and faithful work together in order that the number of the ambassadors of Christ be increased and multiplied. If there should be in your dioceses, any young men, seminarians, or priests who seem called by God to this sublime apostolate, far from putting obstacles in their way, you should encourage them both by your favor and authority in their leanings and desires. Though you are surely permitted in regard to these vocations “to try the spirits if they be of God” (I John iv, 1) still if you are convinced that their holy resolution springs from and is fostered by the Spirit of God, then neither scarcity of priests, nor any special need of your own diocese ought to discourage you or keep you from giving your consent to the vocation of anyone, since your own faithful have at hand, if We may use the phrase, the means to salvation, and are less further removed from them than the heathens, especially those who are still savages or are only semicivilized. If, therefore, the occasion should arise, suffer patiently for the love of Christ and of souls, the loss of one of your clergy, if indeed it can rightly be called as loss. 11. If you deprive yourself of a co-laborer and sharer of your toils, the Divine Founder of the Church will surely supply every such deficiency by showering more abundant blessings on your diocese and by bringing into existence more and more new vocations to the sacred ministry. 12. In order that this particular work may be joined intimately to the other duties of your pastoral office, see to it that the Missionary Union of the Clergy be established in your diocese, and if this has already been done, encourage the organization by your counsels, your exhortations, and your authority to renewed activity. This Union, founded providentially eight years ago by Our immediate Predecessor, has been enriched by numerous indulgences and put under the special jurisdiction of the Sacred Congregation of the Propaganda. In these last years it has spread through many dioceses of the Catholic world. We Ourselves have bestowed upon the Union, and this more than once, testimonials of Our pontifical well-wishes. Great is the number of priests, as well as ecclesiastical students, who belong to the Missionary Union and who pray, each according to his particular state in life, especially at the Holy sacrifice of the Mass, and encourage likewise others to pray, that the gift of faith be bestowed upon the almost limitless number of pagans. On every possible occasion they preach to the people about the apostolate which is carried on among the heathen. They also see to it that at certain specified times conferences, which are of great and lasting value, are held on mission work. They distribute mission literature and wherever they discover some one who gives indications of possessing a vocation to the missionary life, they assist him in obtaining the preparation necessary for such work. They encourage and promote, too, in every possible way, each within the limits of his own diocese, both the work of the Society for the Propagation of the Faith and its two allied and subsidiary activities. 13. You are assuredly aware, Venerable Brothers, of the large amounts of money which the Missionary Union of the Clergy has already collected to help these good works, and what wonderful prospects they have in the future of collecting even more, due to the increased generosity of the faithful from year to year. Some of you have been patrons and sponsors of the Missionary Union in your dioceses. It is Our supreme desire that from now on it will be impossible to point to a cleric who is not literally burning with love for the missions. 14. All Christian people should assist, and generously, the work of the Society for the Propagation of the Faith, the principal mission organization of the Church. With due regard for the very pious woman who was its foundress, and the City of Lyons, its seat, We have transferred to Rome the Society for the Propagation of the Faith. We have also reorganized it, conferred upon it, as it were, Roman citizenship, and given it charge of meeting all the present needs of the missions, as well as those that will arise in the future. How many and how great these needs, how poor the great majority of missionaries was assuredly made plain by the Vatican Missionary Exhibition, despite the fact that many who visited the Exhibition, dazzled by the abundance, novelty, and attractiveness of what they saw, did not sufficiently appreciate this fact. Do not be ashamed, Venerable Brothers, to make yourselves even beggars for Christ and the salvation of souls. Both by your writings and the eloquence of your words, which come from the depths of your hearts, insist that your people by their renewed interest in and generosity toward the missions, increase and render more abundant the harvest which the Society for the Propagation of the Faith is gathering every year. Since no one can be thought so poor and naked, no one so infirm or hungry, as he who is deprived of the knowledge and grace of God, so there is no one who cannot understand that both the mercy and the rewards of God shall be given to him who, on his part, shows mercy to the neediest of his fellow-beings. 15. With the head organization, the Society for the Propagation of the Faith, there are affiliated, as We have written, two other societies - the Association of the Holy Childhood and the Society of St. Peter the Apostle. Since the Holy See has made these latter organizations in a peculiar manner its own, the faithful from all over the world ought to help and maintain them by their offerings, and this in preference to other pious works whose aims are more or less specialized. 16. The object of the Association of the Holy Childhood is, as is well known, to train children so that they will accustom themselves to set aside a certain amount of their money allowance in order to give the same for the redemption and Catholic education of heathen babies who have been abandoned by their parents or have been exposed to death as often happens in certain lands. The object of the Society of St. Peter the Apostle is, by means of prayers and free-will gifts, to make it possible for certain specially chosen native ecclesiastical students to receive the required seminary training preparatory to the taking of Holy Orders. Given these native priests, people of their own race will the more easily be converted to Christ or be confirmed in their Faith. 17. Recently, as you know, We assigned to the Society of St. Peter the Apostle as its heavenly patroness St. Teresa of the Child Jesus. This Saint who, during her life here below as a religious, made herself responsible for and adopted, if We may use the phrase, more than one missionary in order to assist him in his work as was her custom by her prayers, by voluntary and prescribed corporal penances, but, above all, by offering to her Divine Spouse the dreadful sufferings resulting on the disease with which she was afflicted. Under the protection of the Virgin of Lisieux We, too, look forward to more abundant fruits in this work. We, also, greatly rejoice that many bishops have been pleased to enroll themselves among the perpetual patrons of this Society, and that seminaries and societies of young Catholic men have undertaken the task of meeting the expenses incident on the maintenance and education of several needy native clerical students. These two Societies are customarily called, and rightly so, branches of the principal work of the Society for the Propagation of the Faith. As they were recommended very specially to the bishops by Our Predecessor of happy memory, Benedict XV, in the apostolic letter referred to above, so We also cannot but recommend the same Societies to you, hoping that because of your exhortations and your interest in this work the Catholic people shall never permit themselves to be outdone in generosity by non-Catholics who are wont to assist so liberally the propagators of their false beliefs. 18. It is now time, Venerable Brothers and Beloved Sons, that We speak to you who, because of your long labors and wise service as missionaries among the heathen, have been found worthy to be promoted by Apostolic authority to the office of Vicars and Prefects. First of all, We speak of the general progress which the missions have made in the last few years due to your charity and zeal, for which progress We offer congratulations both to you and to the missionaries under your charge. What your principal duties are and what you especially have to guard against in the discharge of these duties, has already been set forth with such wisdom and eloquence by Our immediate Predecessor that nothing along that line needs be added to his words. However, over and above that, We deem it well, Venerable Brothers and Beloved Sons, to make known Our own mind on certain matters. 19. Before everything else, We call your attention to the importance of building up a native clergy. If you do not work with all your might to attain this purpose, We assert that not only will your apostolate be crippled, but it will become an obstacle and an impediment to the establishment and organization of the Church in those countries. We gladly recognize and acknowledge the fact that in some places steps have already been taken to provide for these needs by the erection of seminaries in which native youths of promise are well educated and prepared to receive the dignity of the priesthood, and are trained to instruct in the Christian Faith members of their own race. But in spite of all this work, we are still a great distance from the goal which we have set for ourselves. 22. Moreover, the foreign missionary, because of his imperfect knowledge of the language often finds himself embarrassed when he attempts to express his thoughts with the result that the force and efficacy of his preaching are thereby greatly weakened. In addition to the aforementioned difficulties there are others which must always be taken into account, notwithstanding the fact that these difficulties are of rare occurrence and can oftentimes be overcome easily. Let us suppose, for example, that either because of the fortunes of war, or because of certain political happenings in a mission field, the ruling government is changed in that territory and that the new government decrees or requests that the missionaries of a certain nationality be expelled; or let us suppose - something which rarely, if ever, occurs - that the inhabitants of a particular territory, having reached a fairly high degree of civilization and at the same time a corresponding development in civic and social life, and desiring to become free and independent, should drive away from their country the governor, the soldiers, the missionaries of the foreign nation to whose rule they are subject. All this, of course, cannot be done without violence. Everyone can see what great harm would accrue to the Church in that land in the circumstances, unless a native clergy had been spread beforehand throughout the country like a network and were, by consequence, in a position to provide adequately for the population which had been converted to Christ. 23. Moreover, since the words of Christ “the harvest indeed is great, but the laborers are few” (Matt. ix, 35; Luke x, 2) are true, even in the present condition of affairs, Europe from whence most of the missionaries have come is itself in need of priests, and this at a time when, with the help of God, it is most important that our separated brethren be led back to the unity of the Church and that non-Catholics be convinced of and delivered from their errors. It is a well-known fact that today the number of young men called to the priestly and religious life is not less than in former times, still the number of those who obey the call of God is certainly much smaller. 24. From what We have written, Venerable Brothers and Beloved Sons, it follows that it is all-important to supply your different fields of labor with as many native priests as shall be sufficient, by their individual efforts, to extend the conquests of Christianity and to rule the faithful of each nation without the necessity of depending upon the help of a foreign clergy. In some places, as We have already pointed out, seminaries for the native clergy have been opened. These seminaries are being erected in points central to the nearby missions and entrusted, as a rule, to the same religious order or congregation which has charge of the missions. At these central institutions the Vicars and Prefects send their chosen men and pay for them while they are being trained, to receive them back one day ordained priests ready for the sacred ministry. This policy, which has been followed in some places, We sincerely wish, nay, We command, shall be followed likewise by the Superiors of all missions, so that it cannot be said that any native youth has ever been kept out of the priesthood and the apostolate, provided, of course, he exhibits the mark of a true vocation and is a young man of genuine promise. 25. It need scarcely be added that the greater the number of students you select for this training (there is need of greater numbers) the greater will be the expense. Do not lose heart because of this fact, but have confidence in the most loving Savior of men to Whose Providence We must look to find ways and means whereby the generosity of Catholics shall be stimulated so that there may come to the Holy See the increased funds required to aid more adequately such worthy enterprises. If each of you must do all he can to obtain as large a number as possible of native ecclesiastical students, you must also strive to mold and form them in that sanctity which is becoming to the priestly life and in the true spirit of the apostolate. Filled with these virtues and with zeal for the conversion of their brothers, they should be ready even to lay down their lives for the salvation of the people of their own tribe or nation. It is also important that simultaneously with this priestly formation these seminarians receive a scientific education both in the sacred and profane sciences. This education should follow the most approved methods. The course of study should not be unduly shortened or curtailed in any of its important features. The students as a matter of fact should follow the general accepted course of studies. Have no fear that if in the seminary you educate subjects conspicuous for the integrity and purity of their lives, men well prepared for the work of the sacred ministry and skilled teachers of the law of God, that you will not have turned out men who will not only attract the attention of the leading and learned men of their own country but also priests who will be destined one day to govern parishes and dioceses which shall be erected when it pleases God, and all this with the prospect of lasting gain for the Church. 26. Anyone who looks upon these natives as members of an inferior race or as men of low mentality makes a grievous mistake. Experience over a long period of time has proven that the inhabitants of those remote regions of the East and of the South frequently are not inferior to us at all, and are capable of holding their own with us, even in mental ability. If one discovers an extreme lack of the ability to understand among those who live in the very heart of certain barbarous countries, this is largely due to the conditions under which they exist, for since their daily needs are so limited, they are not often called upon to make use of their intellects. You, Venerable Brothers and Beloved Sons, can bear testimony to the truth of what We write, and we Ourselves can testify to these facts since We have here under Our very eyes the example of certain native students attending the colleges of Rome who not only are equal to the other students in ability and in the results they obtain in their studies, but frequently even surpass them. Certainly you should not allow the native clergy to be looked upon as if they were a lower grade of priests, to be employed only in the most humble offices of the ministry. These priests have been admitted to the same priesthood that the missionaries possess, they are members of the selfsame apostolate. On the contrary, you should prefer the native priests to all others, for it is they who will one day govern the churches and Catholic communities founded by your sweat and labor. Therefore, there should exist no discrimination of any kind between priests, be they European missionaries or natives, there must be no line of demarcation marking one off from the other. Let all priests, missionaries and natives be united with one another in the bonds of mutual respect and love. 27. Since it is necessary in order to organize the Church in these regions, as We have already remarked, that you make use of the very elements out of which under Divine Providence they have been composed, you ought as a consequence to consider the founding of religious Congregations of men and women made up of natives to be one of the principal duties of your holy office. Is it not meant that these newly born followers of Christ be able to follow a life of evangelical perfection if they feel themselves called to take the vows of religion? With reference to this point, the missionaries and nuns who labor in your dioceses should not permit themselves to become prejudiced out of sheer love each for his own religious Congregation, a love which in itself is undoubtedly sound and legitimate. They should learn to view this matter broadly and to act accordingly. Therefore, if there are natives who desire to join one or other of the older Congregations, it assuredly would not be right to dissuade them or to prevent their joining, provided, of course, they give signs of being able to acquire the spirit of these Congregations and of establishing in their own countries houses of the Order which shall not be unworthy of the Congregation of which they are members. Perhaps it would be well if you would consider seriously and without admixture of selfinterest, if it would not be more advantageous all around to establish entirely new Congregations, which would correspond better with the genius and character of the natives and which would be more in keeping with the needs and the spirit of the different countries. 28. Up to this point We have written of the selecting and recruiting of those who are to share with you your labors. There still remains for Us in this context to commend to your zeal a plan which, if it should be put into operation, We believe would greatly help in the wider diffusion of the Faith. In what high esteem We hold the contemplative life is made abundantly clear in the Apostolic Constitution of two years ago, whereby We most gladly confirmed by Our Apostolic authority the rule of the Carthusians which had been revised to conform with the new Code of Canon Law, a rule which had been approved by Pontifical authority from the time of the origin of the Carthusian Order. Now, as We exhort from Our heart the Major Superiors of similar contemplative orders, so you too in like manner give them repeated evidences of the fact that they, by founding such houses in the mission field, can spread and promote the more austere types of contemplative life. These contemplatives, too, will obtain from heaven for you and for the work to which you are devoted an abundance of graces. Nor is there any danger that such monks will not find conditions for their mode of life satisfactory. The inhabitants, particularly in certain places, although pagan in large majority have a natural inclination towards solitude, prayer, and contemplation. In this special connection may We call to your notice that great monastery which the Reformed Cistercians of La Trappe founded in the Vicariate Apostolic of Peking. In this monastery there are nearly one hundred monks, the major portion of whom are Chinese. As they, by the exercise of the most perfect virtue, by constant prayer, by the austerity of their lives, by manual labor placate the Divine Majesty and bring down the mercies of God both upon themselves and their pagan neighbors, so also by the force of their example they win these very pagans to Jesus Christ. It is, therefore, not to be questioned that these hermits, while they guard intact the spirit of their holy Founder and therefore do not engage in an active life, nevertheless they prove themselves of great assistance in the successful work of the missions. If, perchance, the Superiors of any of these Orders should heed your requests and establish houses for their subjects in places judged best by common agreement between you, they shall do something which will be, in the first place, very beneficial to the great multitudes of pagans and which will be, secondly, more pleasing to Us personally than any words can express. 29. We may now pass, Venerable Brothers and Beloved Sons, to the consideration of a matter which has to do with the better management of the missions. Although on this subject Our immediate Predecessor has already given his advice and instructions, We desire to repeat them here because We rightly think them to be of the utmost importance in the fruitful exercise of the apostolate. Because in great part the success of Catholic missions among the heathen depends upon you, We desire you to have a better organization of your mission work than formerly, an organization which may serve to make easier for you in the future the work of propagation of Christian beliefs and the increase of converts to the Faith. Therefore, you must see to it that the missionaries are so distributed about that no part of the territory assigned you shall be neglected and that no part shall be left to be evangelized at some future and remote date. To accomplish this purpose, found many new stations (allowing the missionary to live in some central place) in the vicinity of which you may establish smaller houses, which can be left in charge of at least a catechist, each of which should have a chapel so that the missionary may from time to time come on certain fixed days to visit the people and exercise his ministry. 30. Missionaries should remember that in preaching to the natives they must follow the same methods which the Divine Teacher used while He was on earth. Before He began to preach to the crowds, He first healed the sick: “and all that were sick he healed; and many followed him, and he healed them all: he had compassion on them, and healed their sick.” (Matt. viii, 16; Matt. xii, 15; Matt. xiv, 14) He commanded the Apostles to do likewise and bestowed upon them the power of healing: “And into what city so ever you enter . . . heal the sick that are therein, and say to them: The Kingdom of God is come nigh unto you,” (Luke x, 8, 9) and “going out they went about through the towns, preaching the gospel, and healing everywhere.” (Luke ix, 6) Neither should the missionary ever forget how kind and loving Jesus always showed Himself to babes and little children, or how when the apostles remonstrated with them, He bade them to “suffer little children to come unto Him.” (Matt. xix, 13, 14) Apropos of this, let Us recall what We said on another occasion, namely, that the missionaries who preach to the heathen know only too well how much good-will and real affection is gained for the Church by those who look after the health of the natives and care for their sick or who show a true love for their infants and children. All of which only goes to prove how readily the human heart responds to charity and to kindness. 31. To return to a subject which We discussed above. If it is necessary, Venerable Brothers and Beloved Sons, in the cities where you have your residences and in other more important centers, to erect large churches and other mission buildings, you must, however, avoid building churches or edifices that are too sumptuous and costly as if you were erecting cathedrals and episcopal palaces for future dioceses. This type of structure will come in due time and when the need really exists. Assuredly, you are aware of the fact that there exist dioceses which have been canonically erected, and that a long time ago, and yet only now are they constructing or have just finished the construction of churches and buildings of this kind. Moreover, it would be neither right nor advisable to bring together, really to crowd together, in one of the principal cities or in the town where you reside the various institutions erected for the welfare of both the souls and bodies of the people. If such institutions are really large and important they will need on the spot both your presence and that of the missionaries, and thus your visits in the interests of the propagation of the faith to the remainder of the territory committed to your charge will necessarily cease. Since mention has been made of such good works, over and above hospitals and institutions for the care of the sick and for the distribution of medicines, and elementary schools which you ought to open in every town, it is important that you found other types of schools for the young people who do not intend to take up agriculture, and thus by these schools open the way to them to acquiring a higher education, particularly in the arts and sciences and in the professions. We also exhort you not to neglect in this work of education the better classes, especially the rulers of the locality and their children. It is beyond question that the word of God and its ministers are received more readily by the poor and humble than by the proud and rich. It is also true that Jesus Christ said to Himself, “the spirit of the Lord hath sent me to preach the Gospel to the poor.” (Luke iv, 18) Yet, at the same time, We must not forget what St. Paul writes: “to the wise and unwise, I am a debtor.” (Romans i, 14) Both history and experience teach that when once the rulers of a people have been converted to Christianity, the common people follow closely in the footsteps of their leaders. 32. Finally, Venerable Brothers and Beloved Sons, receive, in the wellknown spirit of zeal for religion and the salvation of souls which consumes you, with docile minds and with the will to obey promptly, this, Our last but most important recommendation of all. The districts confided by the Holy See to your care and labors in order that they too may be added to the Kingdom of Christ the Lord, are for the most part vast in extent. It may thus happen that the number of missionaries belonging to your particular Institute is much smaller than your actual needs require. In this case, just as in well established dioceses members of different religious families, priests, laymen, and nuns of many different Congregations, are accustomed to come to the aid of the bishop, so you also, where there is question of spreading the Faith, of educating the native youth or other similar undertakings, ought not to hesitate to invite and to receive as companions of your labors religious missionaries, even though they be of a different Institute than your own, and also priests or others though they are members of lay Institutes. The Orders and Religious Congregations may well be proud of the missions given them among the heathen and of the conquests made up to the present hour for the Kingdom of Christ. Let them remember, however, that they do not possess the mission fields by a peculiar and perpetual right, but that they hold them solely at the discretion and pleasure of the Holy See which has both the duty and the right to see to it that these missions are well and adequately taken care of. The Roman Pontiff would not be doing his full Apostolic duty if he limited his interest solely to the distribution of missions of greater or lesser extent to one or other Institute. What is of much more importance is that he must always, and with great care, see to it that these different Institutes are sending into the regions confided to them as many qualified missionaries as are needed to carry on in a thorough manner the task of diffusing the light of the truth over the whole extent of these countries. 33. Therefore, since the Divine Pastor shall demand of Us an accounting of His Flock, We, without hesitation and whenever it shall appear to be either necessary, more opportune, or useful for the larger growth of the Catholic Church, shall transfer the mission territory of one Institute to another Institute; We shall also divide and subdivide a mission territory and shall confide it to the care of native priests or shall assign new Vicariates and new Apostolic Prefectures of other religious Congregations than those occupying the original territory. 34. It but remains for Us now to exhort you again, Venerable Brothers, all the bishops of the Catholic world, to share with Us the cares and consolations of Our pastoral office and to come to the aid of the missions in the enthusiastic manner and with the methods We have suggested in order that the missions themselves, quickened as it were by this renewed strength, may bring forth a more abundant harvest in the future. May Mary, the Most Holy Queen of Apostles, graciously look down with favor upon this our common undertaking; that selfsame Mary who, since she keeps within her motherly heart all men committed to her protection on Calvary, cherishes and loves not only those whose fortune it is to enjoy the fruits of the Redemption, but all those others likewise who do not yet know that they have been redeemed by Jesus Christ.